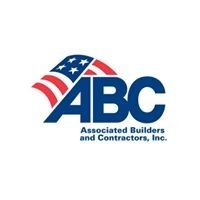 “ABC applauds the president for sending Congress a plan to rebuild America’s infrastructure. It is now time for lawmakers to develop legislation and policy to efficiently modernize America’s infrastructure and drive economic growth and prosperity for all Americans. “ABC is pleased that the president’s plan mirrors many of the key principles ABC believes will deliver the most value to taxpayers. For example, addressing regulatory burdens, such as streamlining the federal infrastructure permitting process, will reduce costs and increase the speed of project approval and completion. And expanding efforts to train the next generation of skilled workers will give more Americans the chance to take advantage of the jobs created by these infrastructure projects and help reduce the construction industry’s workforce shortage.